Some business owners rely on sandwich board signs to advertise daily specials or to bring attention to their storefront. The city is considering banning them. City Council is expected to vote on an update of the sign code at its meeting Tuesday. 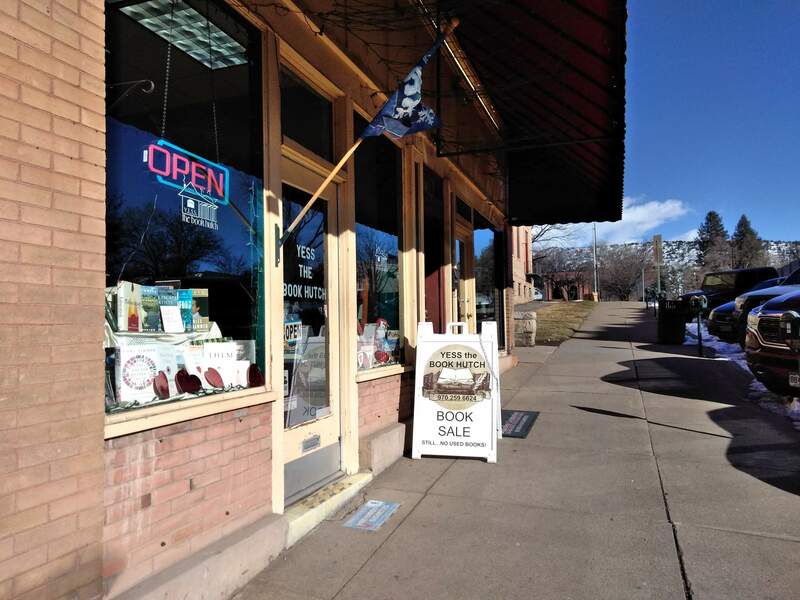 The Business Improvement District is encouraging business owners to offer their views about the sign code update at the Durango City Council meeting Tuesday. Tim Walsworth, BID executive director, said two proposals have drawn questions from business owners: eliminating sandwich board signs on public rights of way, including sidewalks, and limiting the time and size of banner signs in the Central Business District and multiuse neighborhoods. “BID isn’t taking a position on the sign code. Our own polling shows our members are split down the middle,” Walsworth said. Sandwich boards, which frequently can be seen downtown, are technically illegal on public rights of way, including sidewalks. Walsworth said the update of the sign code offered an opportunity to allow them. However, after exploring efforts to allow sandwich boards, the final draft of the ordinance maintains the ban. Colleen O’Brien, with the city of Durango’s Community Development Department, said the City Council, Planning Commission and the Design Review Board all concurred the sign ordinance should be consistent with the recently passed ordinance that bans sitting and lying on sidewalks. That ordinance puts a premium on avoiding sidewalk obstructions. O’Brien said the city was “going light” on its enforcement of temporary signs, including sandwich boards, since a ruling by the U.S. Supreme Court that placed greater restrictions on the ability of municipalities to impose content restrictions on signs. The Supreme Court ruling kicked off a review of Durango’s entire sign ordinance in April 2018, O’Brien said. The review included several public meetings on the new code and a revision of the original draft based on public comments. The code, as currently written, passed the Durango Planning Commission on Jan. 29. O’Brien said the city will work with businesses to explore options to sandwich boards. She added sandwich boards will be allowed on private property. She cited Cream Bean Berry, 1021 Main Ave., which has a small privately owned alcove where a sandwich board could be placed. Sandwich boards could also be placed in privately owned parking lots. If the City Council adopts the revised sign code, it would be effective April 3. Terry Hutchison, owner of YESS The Book Hutch, 143 E. Ninth St., said she would have liked to see sandwich boards allowed. “For us on the side streets, it provides good visibility. There’s no other way people will know we’re here,” she said. Terry Hutchison, owner of YESS The Book Hutch, said she will likely close her bookstore if the city enforces a rule banning sandwich board signs on sidewalks. The Durango City Council is expected to take its first vote on an update of the sign code at its meeting Feb. 19. It’s hard, she said, to understand why her 2-foot sandwich board sign would be banned when bike racks taking up more space are allowed on sidewalks. “I’ve told them (city officials) I’d probably just close, and they seemed just fine with that,” she said. Cream Bean Berry owner Katie Burford said her ice cream flavors changing daily and her sandwich board is the most effective way to quickly communicate with passers-by. “Every day, I see people walk by who stop in and say, ‘I wasn’t planning on coming in, but you have my favorite flavor,’” she said. While she understands the city’s concerns about sandwich signs obstructing sidewalks and creating a hazard in bad weather, she would like to see the city be more flexible – perhaps allowing smaller sandwich boards that are weighted in place. 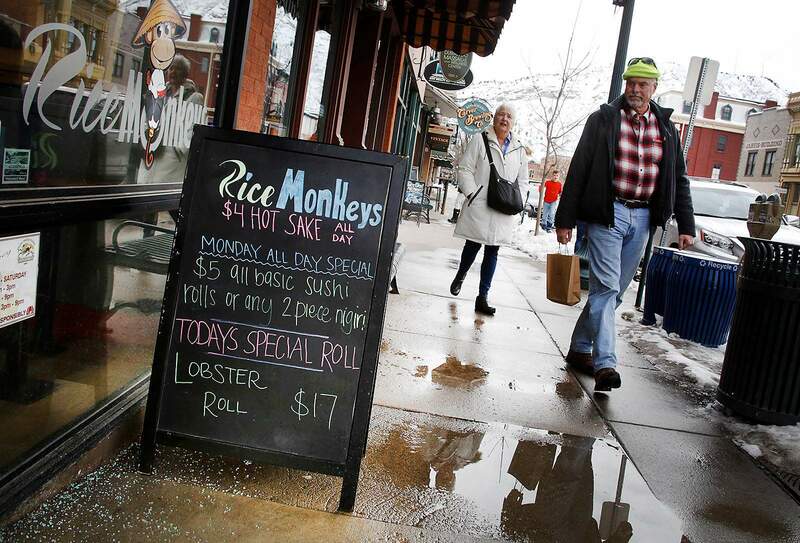 Are you in favor of allowing Durango businesses to use sidewalk sandwich-board signs?